Classic American road trips are chock full of dusty forgotten towns with vintage neon signs advertising motels and roadside diners, still trying to lure passing motorists. Many of those signs are disappearing; victims of age, weather and neglect. However there’s a glimmer of hope as some are being rescued and preserved in an unlikely place. For a guy who has spent his life around signs, Tod Swormstedt sure has a difficult name to fit on one. 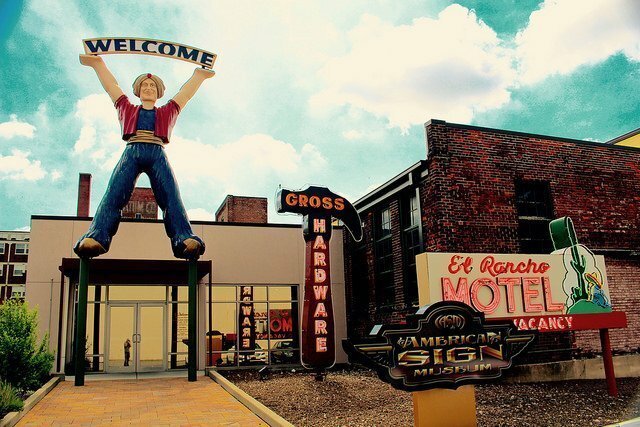 He’s the founder of the American Sign Museum in Cincinnati, a celebration of the art of signage from painted wooden panels through colorfully lit neon extravaganzas. 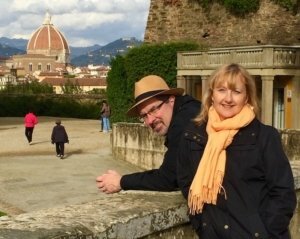 Tod was working as the editor and publisher of the aptly named Signs of the Times trade magazine, which was founded by his great-grandfather in 1906, when he realized “There wasn’t a sign museum anywhere.” So in 1999 he quit working on the magazine and started collecting signs. 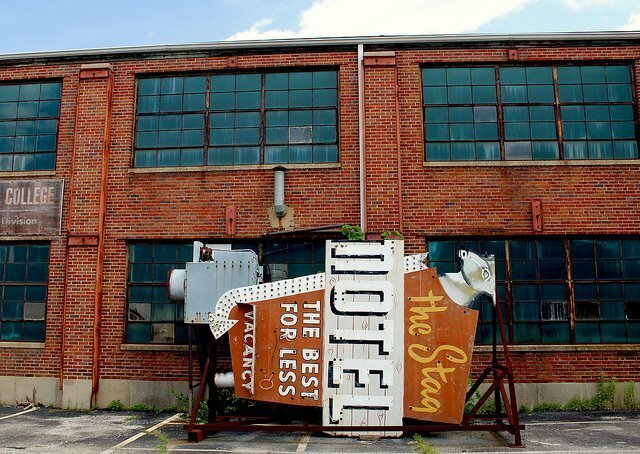 He opened the first museum in 2005 but by 2012 his collection had grown so large that he moved into a 40,000 square foot former parachute factory in the Camp Washington section of Cincinnati. To find it look for the vintage Holiday Inn sign pointing to the museum. 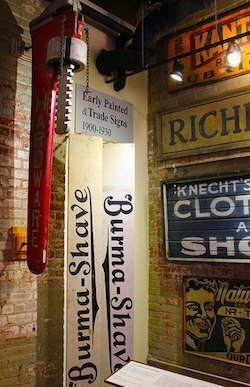 The collection starts in the 1800s with early painted and trade signs such as a depiction of a wrench, boot or hammer so prospective customers would know what was being sold inside. A display called the “Art of the Show Card” features lavishly detailed painted signs that appeared in movie theaters and concert halls, advertising the likes of silver screen stars such as Jean Harlow and Basil Rathbone. There’s a unique story behind the classic Burma Shave signs on display, these were sets of five signs that were placed in sequence by the side of the road dispensing folksy humor while promoting Burma Shave. The panels were found in the house of Clinton Odell, the founder of the Burma-Vita Company. 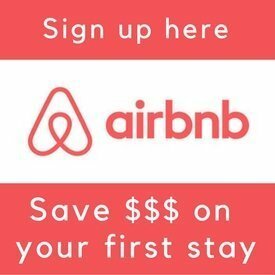 They were prototypes that the thrifty owner used in his attic as floorboards, only to be serendipitously discovered years later when a sign painter purchased the home. 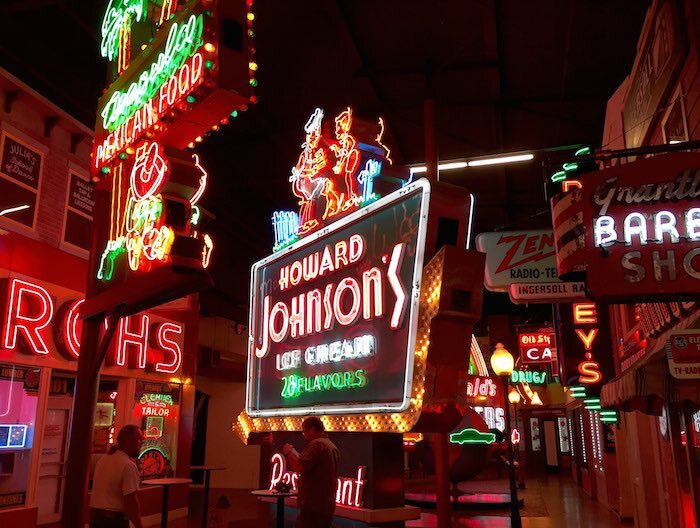 The museum really shines in its electric sign collection representing the light bulb era (1900-1920s); neon era (mid-20s to late 60s); and backlit plastic era, which started in the late 40s. 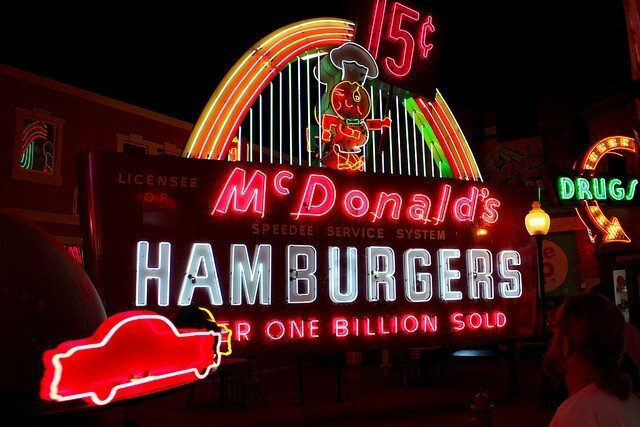 The most popular signs with visitors are the evocative neon signs adorned with over fifty colors of the spectrum. 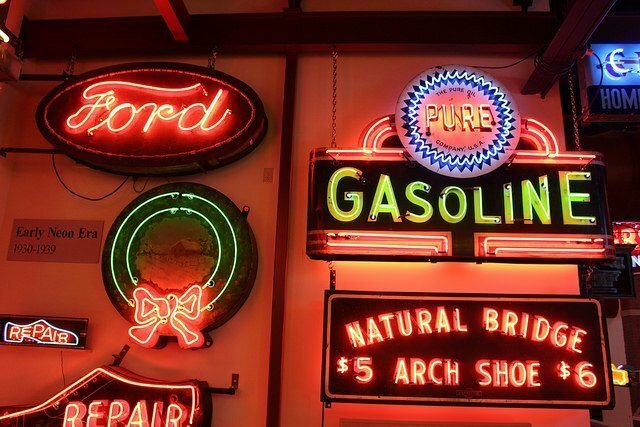 The technology to bend light was brought to the United States in the 1920s when a Los Angeles car dealer bought two signs from French inventor Georges Claude to advertise his Packard dealership. Since then, America has never looked the same. 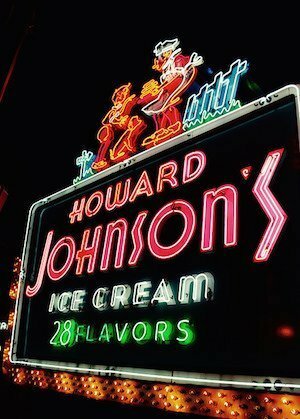 Neon signage hit its stride in the 1950s as postwar America took to the open road, taking advantage of cheap fuel and a booming economy. It seems like the chief beneficiaries of this newfound wanderlust were the sign makers for the motels and fast food joints that soon dotted the landscape. 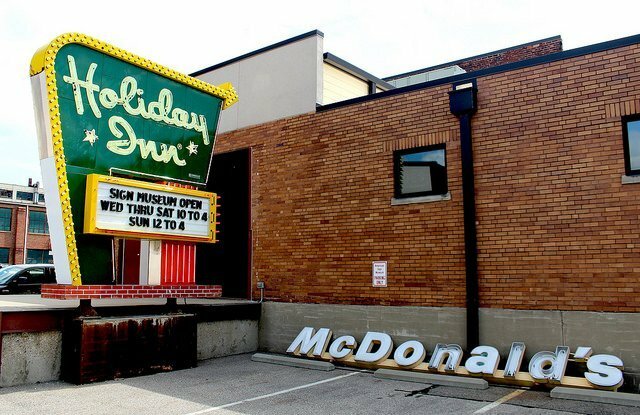 On display are several examples including a circa 1963 (when burgers were only 15 cents) porcelain McDonalds Golden Arch from Huntsville, Alabama and a 1950s Howard Johnson’s sign from Utica, New York flashing the iconic image of Simple Simon meeting the Pieman. Not all signage is two-dimensional. This is best displayed by a rotating Earl Scheib sign (remember the “I’ll paint any car for $89.95” ads?) consisting of the neon outlines of cars spinning around a rotating globe. It was recovered from a building in Los Angeles; a bullet hole bearing silent testimony to some of the perils faced by outdoor signage. 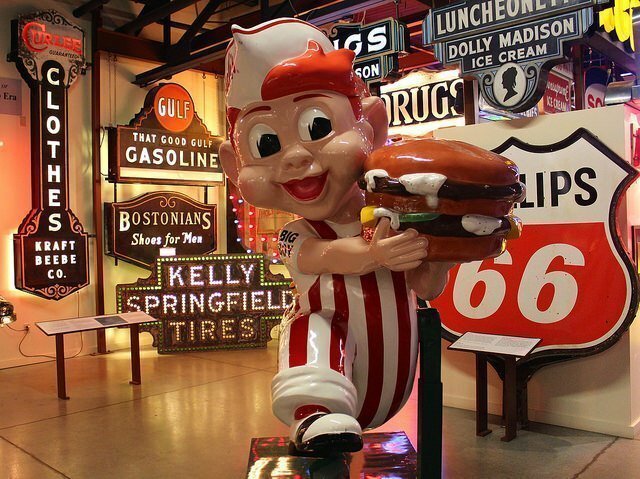 A figure of Frisch’s Big Boy in his familiar red-and-white striped overalls dates from the 1960s. A clue that he isn’t from a more modern era is a sling shot in his back pocket, which was deemed to be violent and removed from later models. 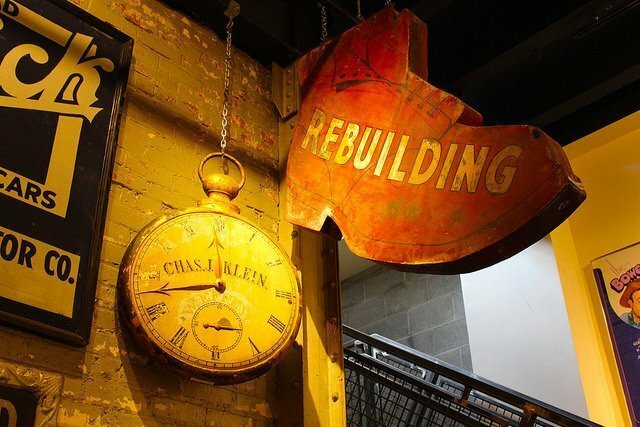 While many of the signs are displayed out of their original context, either hanging from the ceiling or affixed to a wall, the beauty of the museum is the re-creation of storefronts and buildings where the actual signs would have hung. 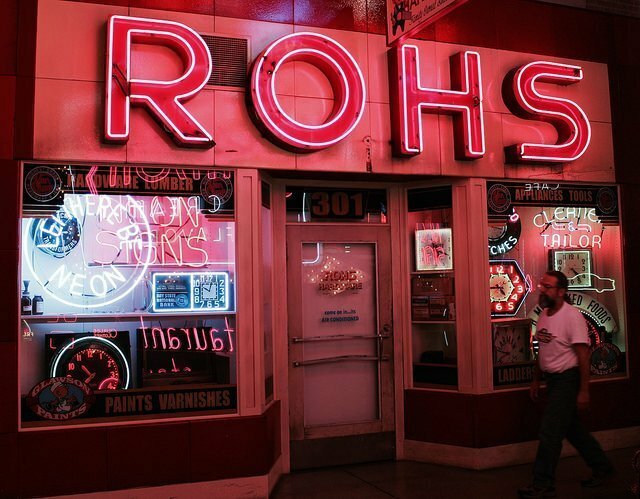 In one instance Tod and his crew reassembled the entire 1940s storefront of Rohs hardware store, a business that had been a staple of Cincinnati’s Over-the-Rhine neighborhood. When it closed in 2011 to be converted into a wine bar, the new owners were going to scrap the mid-century storefront. 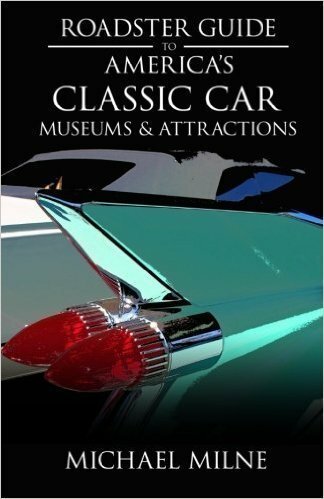 When Tod heard about this he decided to rescue it and recreate the store at the museum. They documented the building photographically, numbered all the panels and then framed-out the storefront and clad it with the original porcelain panels. After restoring the neon on the ROHS sign they installed the original front door, complete with bent handrail and weathered paint. 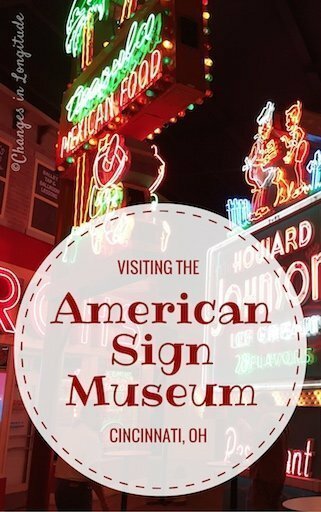 Not everything lights up at the American Sign Museum. Tod heard about a barn in Lanesville, Indiana about to be torn down that was adorned with a 50-foot-long advertisement for Mail Pouch Tobacco; noted sign artist Harley Warrick had painted it. During the last century it was hard to drive along country roads in the south or midwest without passing a barn promoting the product. 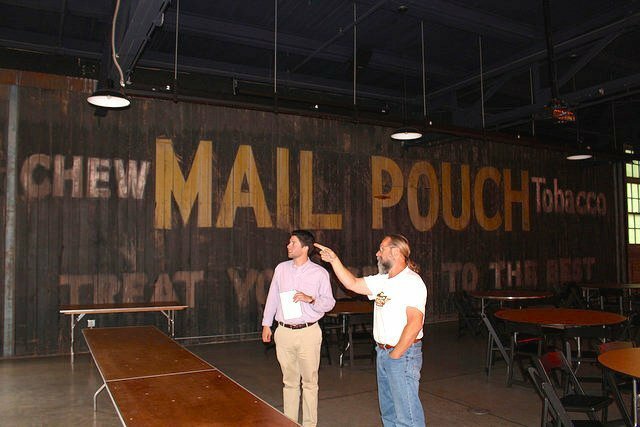 Tod and his crew disassembled the barn and installed the decorated wall at the museum, a rare case of advertising lasting long enough to be considered an historic landmark. Off to one corner of the museum the last full-time neon shop in town, Neonworks of Cincinnati, still creates modern masterpieces using this century-old invention. There’s usually someone on-site crafting another piece-of-art to decorate a lucky building. If all this nostalgia has you hankering for some old-fashioned American road trip food you’re in luck. 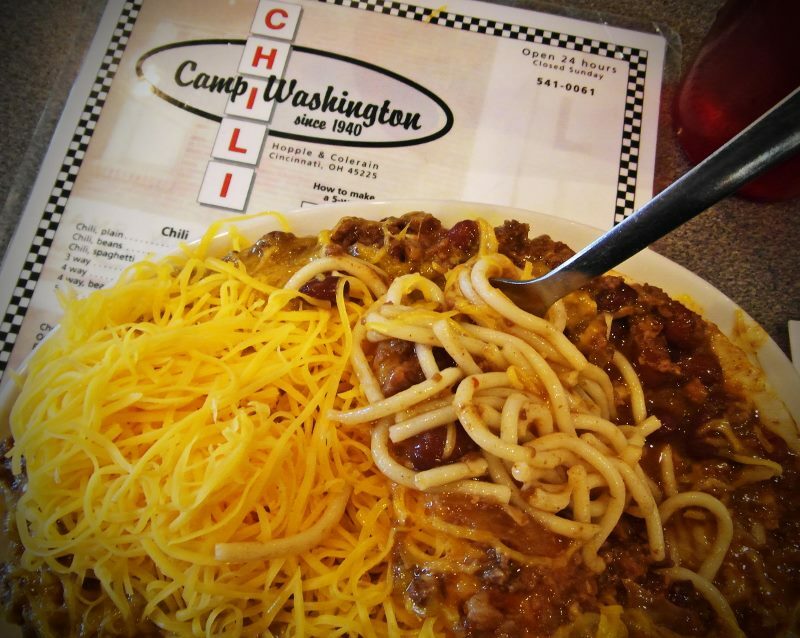 The Queen City is the birthplace of an iconic regional favorite: Cincinnati chili. It’s a Greek take on the popular dish that is, depending on the purveyor, redolent of a spice blend that includes cinnamon, cloves, allspice, cumin and chocolate, then served over spaghetti or hot dogs. Seriously. The best example is found 24/6 (they’re closed Sundays) at Camp Washington Chili—which won a James Beard Award as an “American Regional Classic”—only a half mile south of the American Sign Museum. And yes, there’s even a cool sign perched over the restaurant. Here’s our review of Cincinnati chili. Previous post: Betsy Ross and the First American Flag: Did She or Didn’t She? 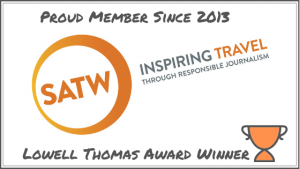 Next post: Is a Eurail pass worth it?